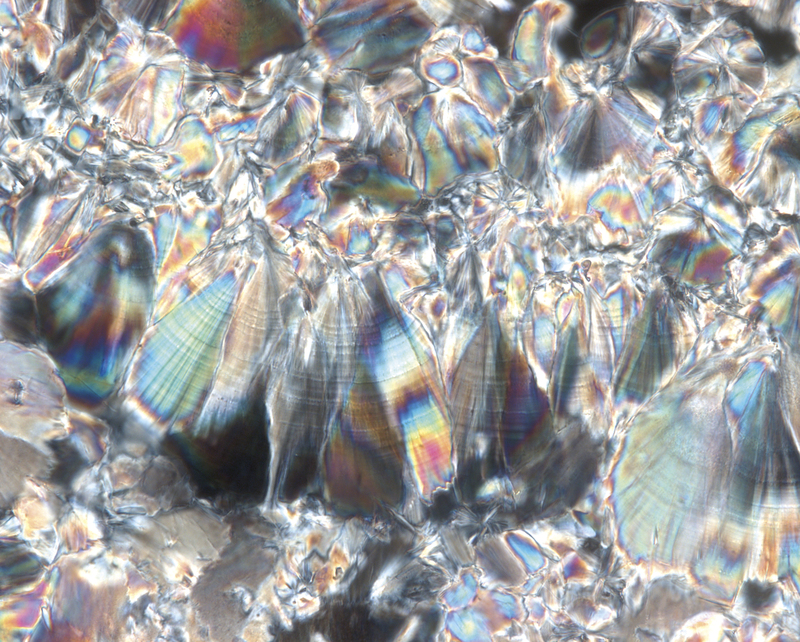 They’re not diamonds, but they are stones – kidney stone crystals – viewed microscopically and enhanced by polarized light. The wafer of stone here is only nanometers thick and previously inaccessible with visible light microscopes. Interested in kidneys? Read how Mayo physician-scientists are developing new tests for better diagnosis of kidney cancer; and how to determine if a kidney is healthy. Photograph by Mayandi Sivaguru and Bruce W. Fouke taken as part of a collaborative Mayo Clinic and University of Illinois Alliance for Technology-Based healthcare research project on kidney stone genesis with John Lieske, M.D., Amy Krambeck, M.D., Nick Chia, Ph.D., and Jessica Saw, medical student at the Mayo Clinic School Medicine and Science.